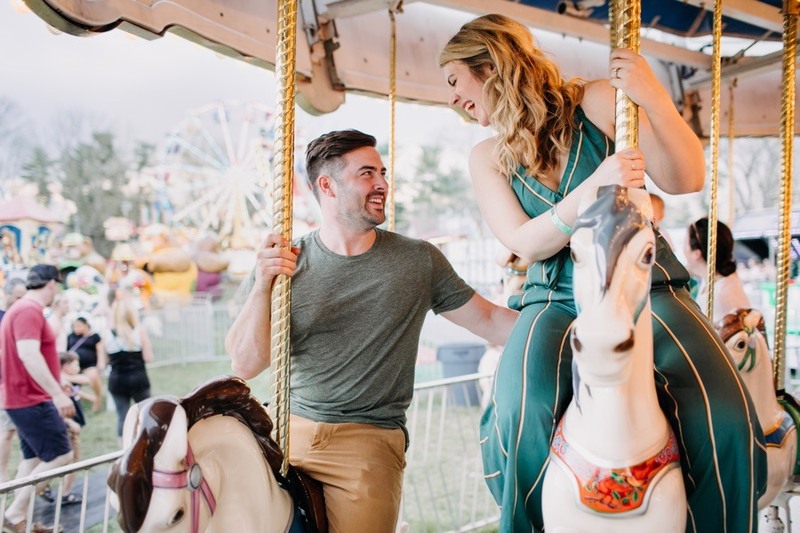 How Fun Are These Carnival Engagement Photos!? 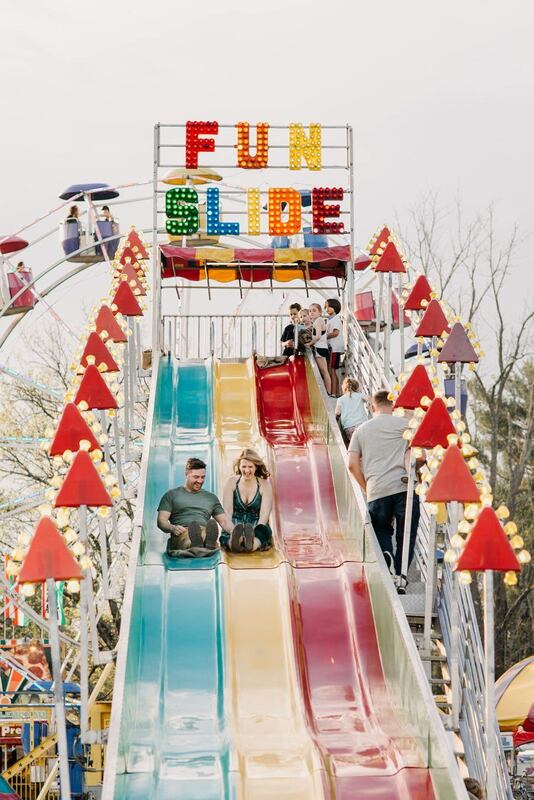 More people should pose on slides for their e-session. 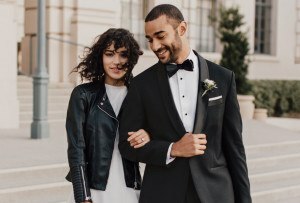 By Sarah Zlotnick·	 3/25/2019, 8:00 a.m. 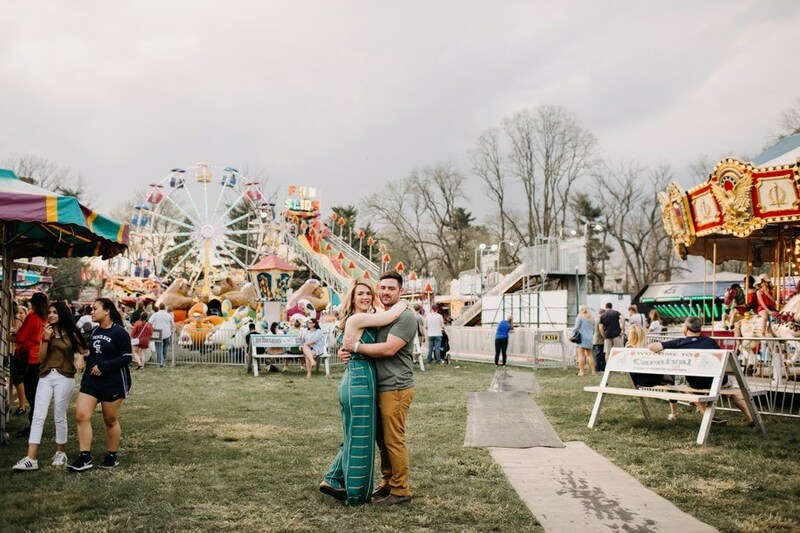 So, without further adieu and even though it’s a little out of order — typically we share a couple’s engagement shoot before we share their wedding — I present to you Matt and Andrea’s joy-filled carnival engagement shoot at the Upper Makefield Fire Company Carnival. 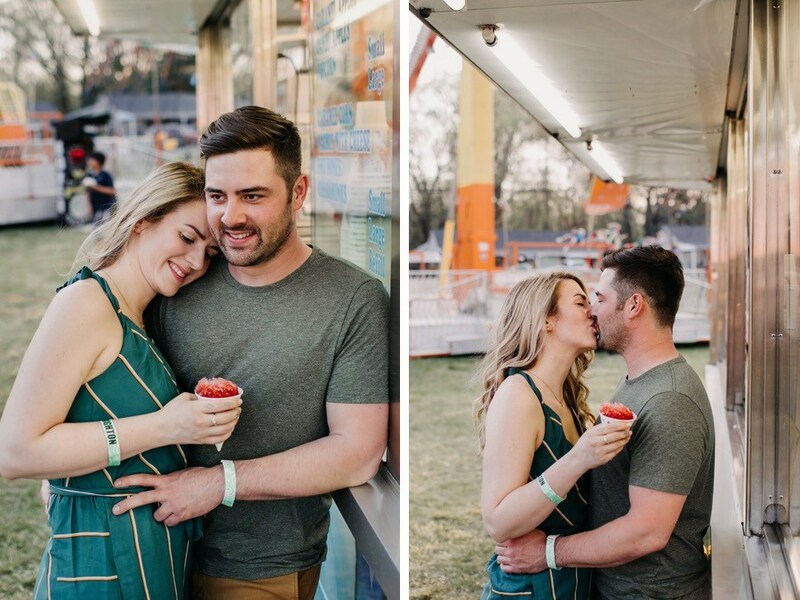 We originally wanted to take engagement photos on the wing dam where Matt proposed. (Ed. 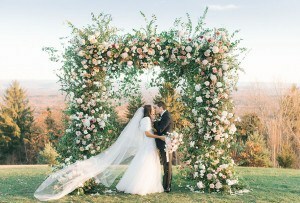 Note: you can read their full proposal story here.) 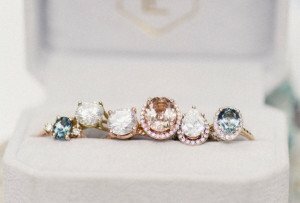 We scheduled with Amanda of Love Me Do for a Thursday, and I didn’t think much more about it. When I saw posters for the carnival, I made plans with friends to go. I’ve probably gone to [the Makefield Carnival] since the 8th grade. Not every year, but in my teen years for sure. The only day everyone had available was Thursday. 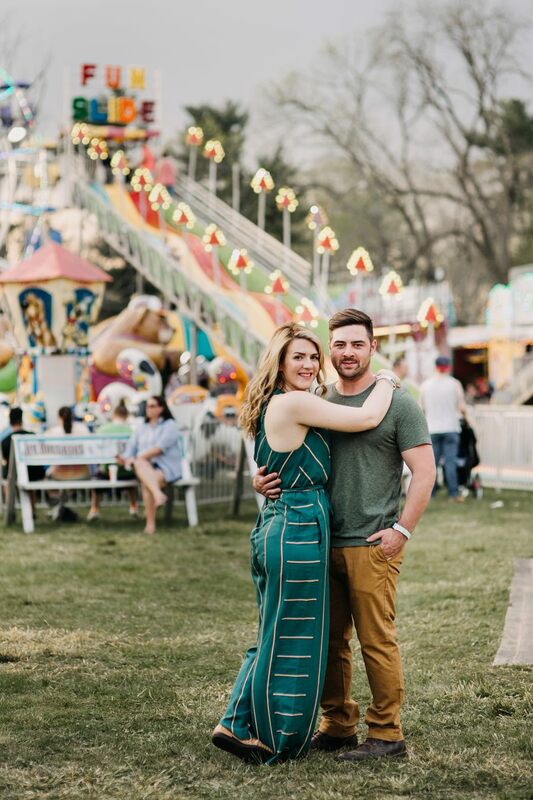 I looked in my calendar and saw that we had scheduled the engagement session for that same day. 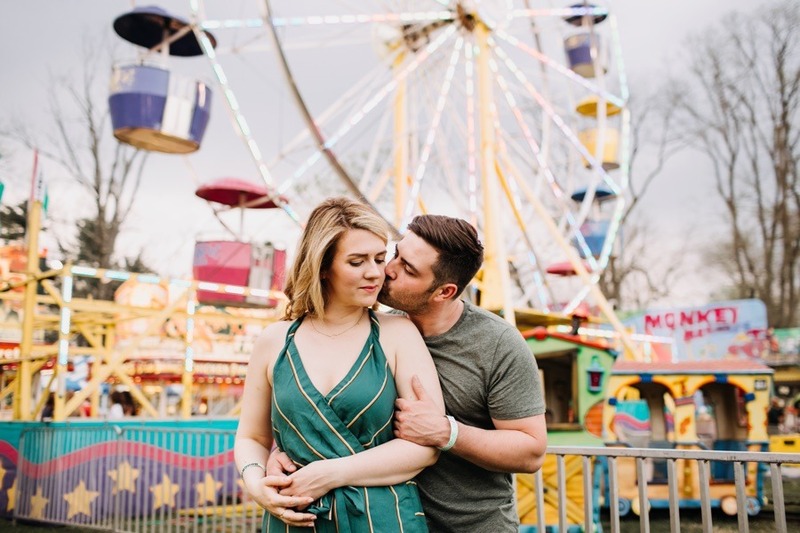 I figured we would do the shoot and then head to the carnival. 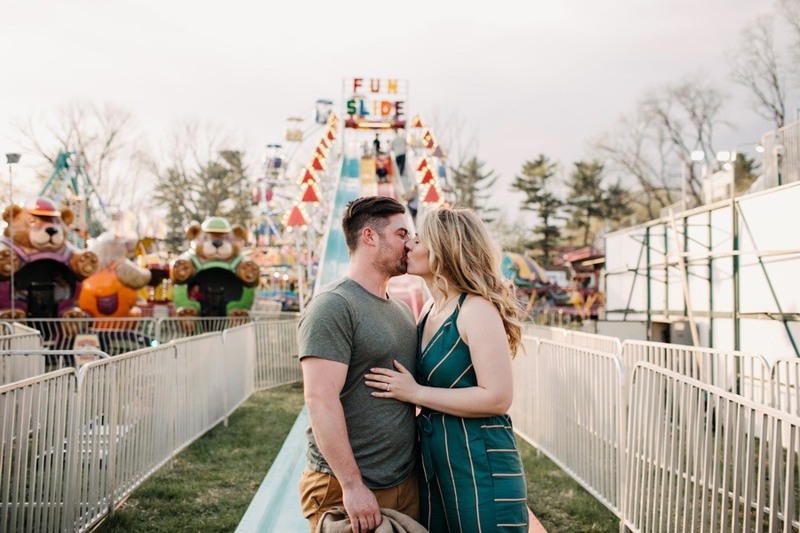 But the more I thought about it, the more I was like, Wait a minute — it would be so fun to have the photos taken at the carnival! 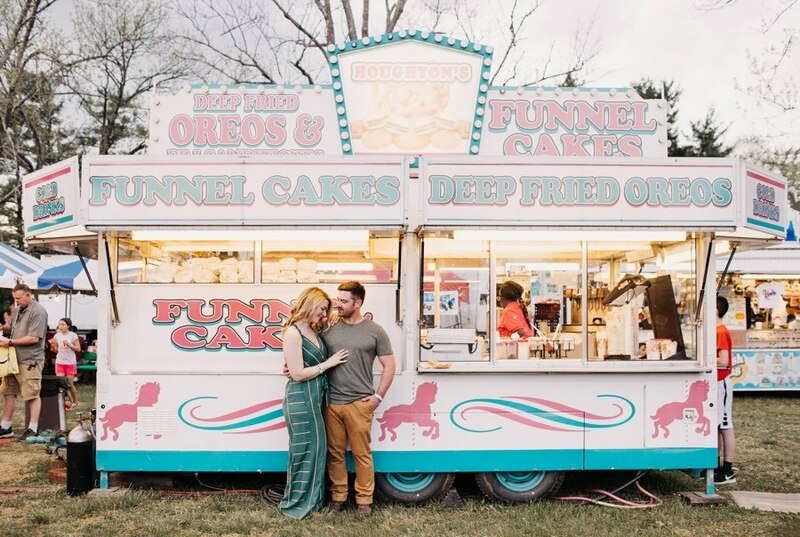 We had already decided on a circus theme for our wedding, so I knew this would tie into it. It just felt like kismet or something. 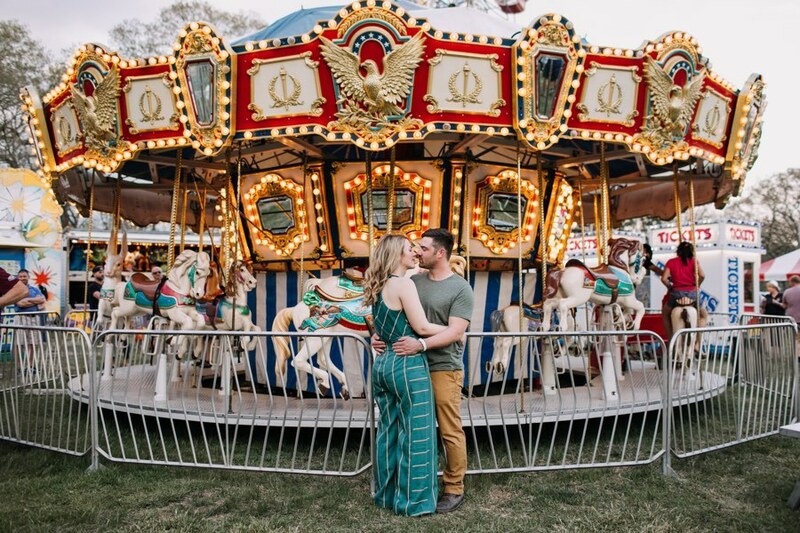 I wanted everything about our wedding to make people feel joyful and happy, and what’s more fun than a carnival? 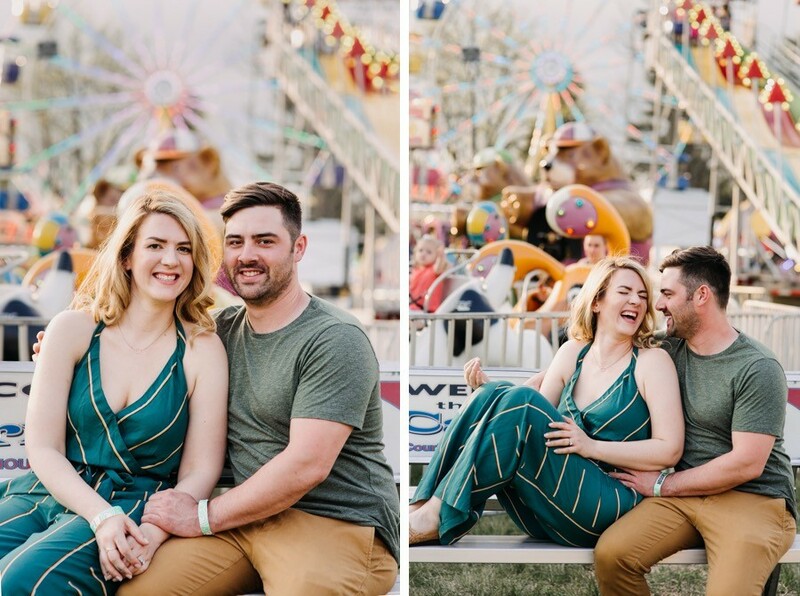 I knew it would be awkward but the photos would be worth it, so I just kept reminding myself of that when people were looking at us. Matt had a harder time relaxing, so I tried to be as goofy as possible for him so he would laugh. She did say she thought it was a great idea, though. 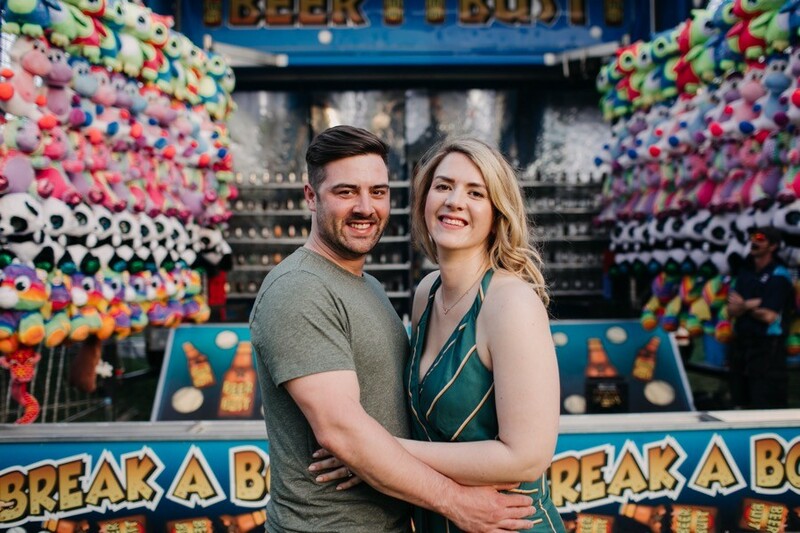 To ease my anxiety about having the session in a public place with onlookers, I kept telling the carnival worker at each booth that it was our engagement shoot. 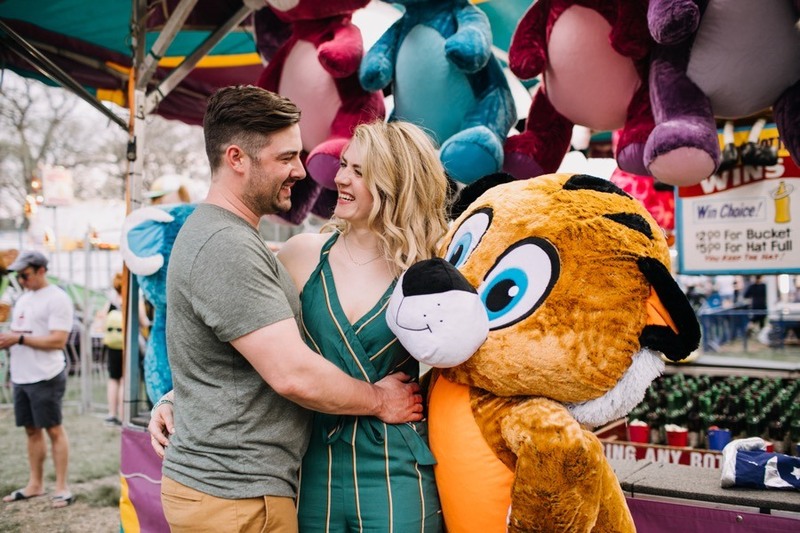 For that reason, one of the workers let me hold one of those giant stuffed animals, take a picture with it, and pretend like we won the grand prize. 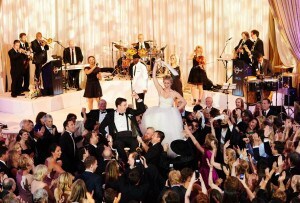 I also told a band and they played “The Way You Look Tonight” while we danced in front of them for photos. 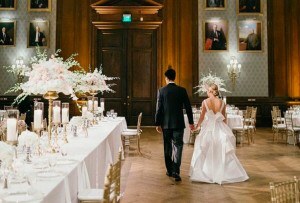 Most people were at-first perplexed to see us walking around with a photographer and kissing. But once they figured it out — or I told them — everyone was so sweet. The woman at the top of the fun slide let us go down by ourselves so we could capture the picture. The slide picture was Amanda’s idea. I was like, How are we going to do this? What if we go down at different speeds? 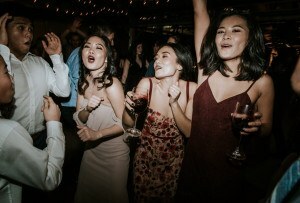 I really didn’t know how she would capture it, and she was pretty far away, but it ended up being my favorite picture.